Discovering The True Jesus (pt.8)- Who Needs Jesus? 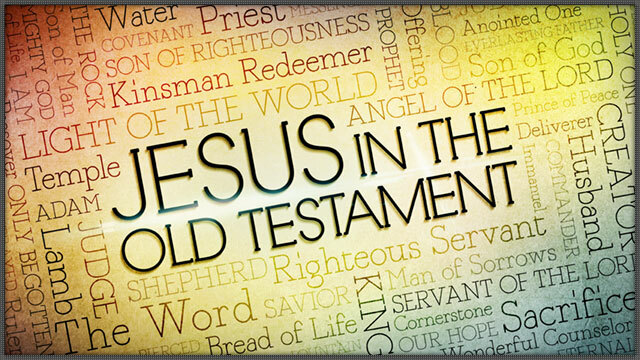 So far in this series, we have talked about who Jesus is and what He accomplished during His time on earth. However, it struck me this morning that all of this is in vain if we do not understand our need for Jesus. There is no benefit in understanding who He is and what He did, if we don’t understand WHY we needed Him to do it. In other words: We can’t appreciate Jesus, or even trust Him, without understanding our true need for Him. So, what do you think? Why do we need Jesus? Our problem, and our subsequent need, is clearly perceived when we focus on God’s attributes. He is Holy, Just, Perfect, and completely Good. These are all great things, aren’t they? But let me ask you this: what does a Good, Holy, Perfect God do with those who aren’t good, holy, or perfect? Can He have fellowship with them? Can He just forgive their wrongdoings? Unfortunately, He cannot. God cannot maintain perfect holiness and goodness if He pardons evil and sin. Similarly, a state judge would not maintain status as a “good judge” if he pardoned every criminal that walked into the courtroom. Even in society, there are standards to live by, and if one breaks the standards, there are serious consequences. In the same way, God has set up certain standards for us to live by. These are summed up in the Ten Commandments, which we all have broken many times. Jesus summed up the commandments up when He said, “And you shall love the Lord your God with all your heart and with all your soul and with all your mind and with all your strength,” and “love your neighbor as yourself” (Mark 12). Any single breach of these commandments has a consequence: separation from God. Any act of selfishness, greed, worry, dishonesty, pride, envy, or idolatry all break God’s standards…And He can’t simply forgive us just by us asking; there must be a payment. And as often as we will break these commandments, there must be an everlasting payment that can cover all of them! Are starting to feel your need for someone to intervene on your behalf? Paul was writing to Jews and non-Jews, showing them their desperate need for Jesus. He squashes the assumption that some people are pretty good, and he leaves no room for the possibility that some people are good enough to have a relationship with God. Paul says that no one does good, not even one- they have become worthless. I have seen this countless times in evangelism. Most people that I talk to, even people who claim to be Christians, place their hope in heaven or in their relationship with God based on the fact that they are “pretty good,” or that God is “a forgiving God.” If that is the basis of your hope for salvation, I can promise you that you don’t understand Jesus. Paul also says in Romans 2 that it is foolish to presume upon God’s grace or mercy, assuming that He will just pardon us. Why? Because a Holy God cannot forgive and associate with unholiness beings. He has wrath for every unrighteous act that has ever been committed, and He will pour it out on all mankind, unless a holy, perfect sacrifice can appease His wrath, and pay for the sins of mankind. Do you see our need for a Savior yet? For our sake he (the Father) made him (Jesus) to be sin who knew no sin, so that in him (Jesus) we might become the righteousness of God. Jesus came to earth to take on our sin, and pay for it completely on the cross. The wrath (punishment) that must be poured out on mankind for every unrighteous act ever committed, would be poured out on Jesus on the cross. All of this happened so that “in Jesus,” through trusting in His sacrifice, we might become “the righteousness of God.” Meaning, we are made perfectly righteous in God’s eyes. When we trust in Jesus’ sacrifice for our sins, an amazing exchange happens: Jesus takes our punishment, we are given His perfect record. From that moment on, when God looks on us, He sees the perfect obedience of Jesus. He no longer sees us as unworthy, unholy, imperfect people. He sees us as perfect, because “in Him we have become the righteousness of God.” That is why the Bible can say that there is no condemnation for those who are in Christ Jesus (Romans 8:1) because there is no more record of our wrong doings! In fact, our entire record has been shredded! There is no more punishment for our sins, past, present or future, because Jesus paid for all of them when He experienced God’s wrath on the cross. And this wasn’t just a coincidence: it had been planned before the foundation of the world! Jesus wasn’t just conveniently killed by Roman soldiers and God said, “alright, that’ll work!” No. You see, God has been passionately pursuing us since we committed our first sin. He has been on a mission since day one to show us how much He loves us through a relationship with us. And He knew that He could only do this through giving up His own Son to be crucified and abandoned. Isaiah 53 says, “it was the Lord’s will to crush Him (Jesus).” It was planned by God to send His Son to pay for our sins. Out of His great love for us, He planned to send His Son to die for us. And out of His great love for us, Jesus came down to save us. THIS is why we need Jesus: Because now, in Him, God can show us His love and care in a relationship with us without violating His attributes, because we are now righteous in His eyes, and because all of His wrath toward us, was poured out on Jesus. The payment for our sin was paid in full. Do you see your need for Jesus? Then look to Him! Trust Him as the perfect sacrifice for your sin! Trust Him as the bridge between you and a holy God! Trust that He did all of this- because He loves you and wants a relationship with you! Jesus is the ONLY way to have forgiveness; He is the only way to have a relationship with the very God that created you. If you have any questions about what I have said above, please email me at jrfletch@uga.edu. In Part 1 of this series, we took a look at the historical perception of Jesus among theologians, scholars, and historians alike. We did this in order gain a holistic view of the basic knowledge that most people have about Jesus. We learned that He was a man who lived 2,000 years ago, who claimed to be divine and changed the world through His followers after His death. But who was He, really? What did He teach? What did He do? We said that in order to answer these questions, we must take a look at the eyewitness accounts of those who knew Him best- His closest friends. Thankfully these documents have been faithfully recorded, handed down, and translated through many generations, producing an English text that is 99.9% accurate when compared to the original documents. But, we will dive into those accounts in the next post. For now, I want to take a look at what was written about Jesus before the New Testament…what was written about Him even before He was born! These writings about Jesus before His birth are called “prophecies,” and they are recorded in the Old Testament. In biblical times, if a “prophet” was truly sent of God, then what He said would come true. Many of these prophets (most writing about 600-1200 years before Jesus birth) spoke about a coming Messiah (a savior) that would save their nation, Israel. In fact there are over 353 of them! All of the above were written about in the Old Testament, and then fulfilled by Jesus life (and then recorded in the New Testament). This is one of the biggest proofs that Jesus was who He said He was…He fulfilled all 353 of these prophecies. The “chance” of Him doing this could be equated to covering all of Texas in 3 feet deep in silver quarters, with only ONE red quarter, and then going to somewhere in Texas blindfolded and trying to select the red one with only one attempt. It simply cannot be by chance! Jesus was the foretold Messiah! All of these prophecies pointed to Him as the Messiah, as someone that would save Israel by being a sacrifice for their sins. In order to be “right” with God, Israel had to continually sacrifice lambs, goats, bulls, doves, food, and other things to cleanse themselves of their sins and receive forgiveness from God. But now, Jesus would become the true and final sacrifice, available to all who would accept Him. Now we are a little farther in our understanding of the true Jesus- the Messiah foretold by the Old Testament prophets. In the next post, we will examine His entrance into the world, the starting point to His life here on earth. 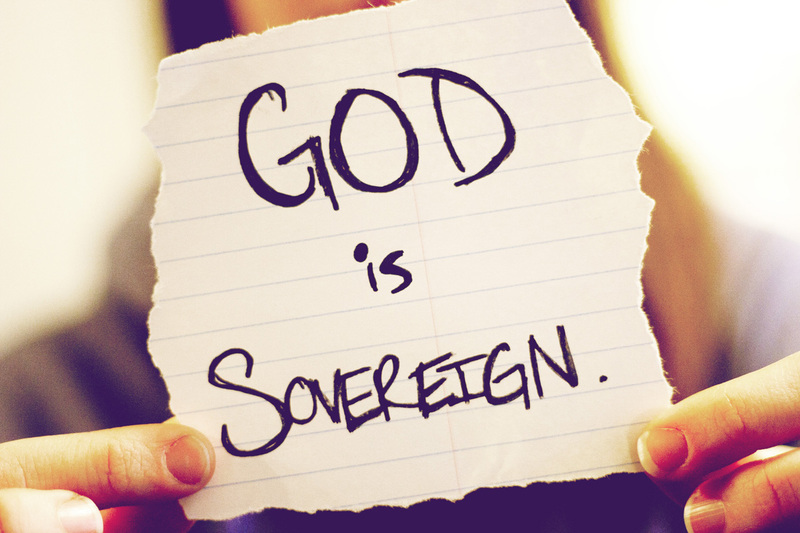 I have often heard the phrase, “God is sovereign” in a way that has been spoken to me to give me encouragement in a tough time or situation. But I never really took the time to meditate on what it meant for Him to be sovereign. The term is defined by having supreme power and authority, a free ability to do as one pleases. In other words, God is in absolute control over every situation, and works out everything according to His will. Think on it for a while, and it will drive your brain into massive confusion. However, we are called to submit ourselves to and believe what scripture tells us, and trust in his sovereignty. These past few days, I have read through the book of Acts, and I was struck with how much it reveals about God’s sovereignty-with regards to salvation! I simply would like to share them with you in a 3 part series, so that you too can see how God has worked out salvation for his people, and how you, too, if in Christ, were brought into salvation by his amazing grace. In this verse we are told that not only did God plan it from the beginning, but you can see his plan through reading the prophets in the Old Testament. Lets look at one of the most well-known passages. Isaiah 53:5 reads, “But he was wounded for our transgressions, he was bruised for our iniquities: the chastisement of our peace was upon him, and with his stripes we are healed.” Isn’t is incredible that these words were written 600-700 years before Jesus birth? There are over 300 in the Old Testament like it! God surely had a plan, and was voicing it to his people all throughout history. In the most heinous crime committed in the history of mankind, God was behind the scenes, sovereignly ruling. His hand predestined for Jesus to go to the cross, and to bear the weight of our filthy sin. He planned it all, so that whosoever would repent and believe in Him, would have eternal life. This was the depth of his love for us, that he would send his own Son, who would be despised and rejected, so that we might have life with Him. “But God showed his love for us in that while we were still sinners, Christ died for us” Romans 5:8. Recognizing this plan helps us understand the cornerstone of the gospel, seen in Isaiah 53:10,” Yet it was the Lord’s will to crush Him.” Him- meaning Jesus. People everywhere are commanded to repent and believe in this incredible gospel (Acts 17:30). How could we not accept so great a Savior? How could we not devote our lives to a God, who in his sovereignty planted the very tree that he would be crucified on-all to give us life and relationship with Him?